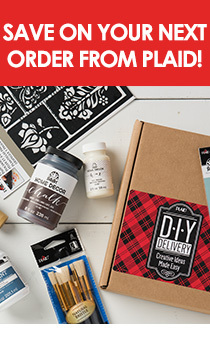 View the promotions we're currently offering and shop from the comfort of home for all of your favorite Plaid brands: Apple Barrel, Bucilla, Delta, Mod Podge, FolkArt, and more! Purchase hard-to-find products no longer carried at your local craft product retailer. Spend $60 and use code FLASH419 to save 40% on your PLUS receive FREE SHIPPING on your order! Offer valid through April 28, 2019.